This site exists to help you obtain a replacement Luton marriage certificate as quickly and as easily as possible. Purchase a copy Luton Marriage Certificate Replacement, suitable for both legal and family history uses. All Luton marriage certificates supplied are certified copies or extract copies for England and Wales, Scotland and Northern Ireland. The Luton marriage certificate will normally include full names of both parties, occupation, usual residence, age and name of father for both parties, place of marriage (Luton) and registration district (Bedfordshire). You will receive a Luton Marriage Certificate. These are officially known as Certified or Extract Copies, as they are issued based on the original that was stored when the marriage originally took place. This does not mean you will receive a photocopy! You will get a newly printed certificate, as good as the original. The only difference is that the date of issue will be different. What a Luton marriage certificate contains? All Luton marriage certificates we supply are fully certified or extract copies which are suitable for all official purposes. 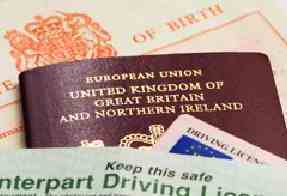 Some reasons for obtaining a certificate include an application for Adoption, applying for an academic course, applying for a passport or a driver's licence. One of the most common reasons is that the original certificate was lost or mislaid. I live outside the UK. Will my Luton marriage certificate be accepted for use outside the UK? If you are using the Luton marriage certificate to get a British Passport, regardless of where you reside, you can use the Luton marriage certificate without any legalisation process. Did the event take place in Luton? We can carry out searches of marriage records in the Luton area for details of marriages usually for copy marriage certificates. Copy marriage certificates can only be obtained via the online order form, the certificate would contain the marriage details first registered. Why would I need a copy of a Luton marriage certificate?